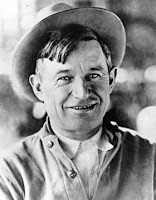 humorist Will Rogers was born in Oologah Indian Territory (Oklahoma). He was the star of his own weekly radio show before his death in a plane crash with Wiley Post in Alaska Aug 15, 1935. Rogers was 55. On this day in 1913, actor Gig Young was born in St Cloud Minnesota. He had a successful film career playing second leads, then a series of guest roles in dramatic TV. He starred in the series Gibbsville, and was the suave on-camera host for three early series, Kings Row, Casablanca & Warner Brothers Presents. Young took his own life Oct. 19, 1978, at age 64. 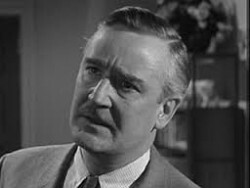 On this day in 1914, actor/broadcaster Court Benson was born in Vancouver. Best known for his hosting work on the Hot Stove League on CBC hockey radio broadcasts. Court was also an active member of the New York radio actor’s pool, and in the 1970’s and ’80’s appeared on scores of episodes of the nightly CBS Mystery Theatre. His TV work included Captain Video and His Video Rangers, and the Jackie Gleason Show. Benson died in 1995 at age 81. On this day in 1916, with voice & music transmission for mass entertainment still in the experimental stages, David Sarnoff of American Marconi wrote a memo suggesting what he called a “radio music box” for radio reception. On this day in 1918, actor Art Carney was born in Mount Vernon NY. He was a busy member of the New York radio actor’s pool, in shows such as Gangbusters, Casey Crime Photographer, and the Henry Morgan Show. He also specialized in impressions like FDR and General Dwight Eisenhower. The zenith of his career was on TV playing Ed Norton on Jackie Gleason’s ‘Honeymooners.’ Gleason once said Carney was 90% responsible for its success. He died Nov. 9, 2003, at age 85. Also this day in 1918, actor Cameron Mitchell was born in Dallastown PA. His signature TV role was as the happy-go-lucky Buck Cannon in High Chaparral. He also had roles in the miniseries Black Beauty, Dream West, and How the West Was Won. Mitchell succumbed to lung cancer July 6, 1994 ..at age 75. On this day in 1919, actor Martin Balsam was born in New York City. He had roles in episodic TV drama over a 43 year span, and regular recurring roles in Archie Bunker’s Place, and Dr. Kildare. Balsam died February 13 1996 of a heart attack, at age 76. On this day in 1922, Canadian Marconi’s experimental Montreal radio station XWA licensed as CFCF, broadcast its first commercial radio show. The station, started in December 1919, is reputedly the oldest in the world. was born of Canadian parents at London England. She came to Canada as an infant, and grew up in Toronto. She won an Emmy nomination for her 1963 TV performance as Queen Victoria in Disraeli. Reid’s TV series work includes running roles in The Whiteoaks of Jalna, Gavilan, & Morningstar, Eveningstar, plus scores of guest parts. She died of brain cancer March 27 1993 at age 62. On this day in 1931 at 2:30 pm, just moments after experimental Kelowna (BC) radio station 10AY signed off, J.W.B. Browne flicked the switch and announced on the air: “This is CKOV, the Voice of the Okanagan.” For its initial broadcasts CKOV was using a 60-watt ship’s transmitter converted to 100 watts. On this day in 1932, actor/director Noam Pitlik was born in Philadelphia Pa. He had recurring roles in I’m Dickens He’s Fenster & Ben Casey in the 60’s, and Bob Newhart & Sanford and Son in the 70’s. He produced the series Barney Miller & 9 to 5. Pitlik died February 18 1999 from lung cancer, at age 66. On this day in 1938, You’re a Sweet Little Headache, from the movie Paris Honeymoon, was recorded by Bing Crosby — on Decca. On this day in 1943, the No. 1 Billboard Pop Hit was “Paper Doll” by The Mills Brothers. 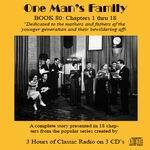 On this day in 1949, the long-running radio series penned by Carleton E. Morse, One Man’s Family debuted on NBC-TV, featuring future film stars Tony Randall, Eva Marie Saint, and Mercedes McCambridge. The show continued on TV for three seasons, but enjoyed 26 years on radio (1933-59), amongst the longest runs of any program on the air. On this day in 1956, journalist Rene Levesque debuted in a new Societe Radio-Canada (CBC) public affairs show, ‘Point de Mire’. On this day in 1958, the No. 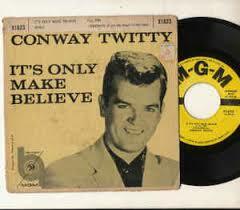 1 Billboard Pop Hit was “It’s Only Make Believe” by Conway Twitty. On this day in 1959, Ottawa pop star Paul Anka had a number one hit single with Put Your Head on My Shoulder. On this day in 1961, Vancouver’s CHQM-FM began broadcasting in stereo, which at the time was quite a novelty. Also in 1961, Bob Dylan gave his first major concert outside of Greenwich Village. The Carnegie Hall solo appearance was seen by just 53 people who paid two dollars each. On this day in 1965, The Beatles recorded “What Goes On,” the only song credited to Lennon/McCartney/Starkey. On this day in 1968, Cream played their final US show on Long Island. Also in 1968, Pink Floyd recorded ‘Point Me At The Sky’ and ‘Careful With That Axe, Eugene’ at Abbey Road Studios, London. On this day in 1969, a founding member of The Ink Spots, tenor Ivory ‘Deek’ Watson, who left in 1945 to form his own group, died at age 60. On this day in 1970, The Beach Boys played the first of four nights at one of rock’s most famous venues, the ‘Whisky A Go-Go’ club in LA. On this day in 1971, the CRTC licensed CKGO Hope for 1490 KHz with 250 watts, and CINL Princeton on 1400 KHz with 1000 watts day and 250 watts after dark. The Hope station mostly rebroadcast CHWK Chilliwack, while CINL aired the programming of CHNL Kamloops. Also in 1971, The Who opened up The Rainbow Finsbury Park in London, appearing on the first of three nights. 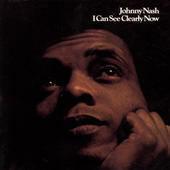 On this day in 1972, “I Can See Clearly Now” by Johnny Nash topped the charts and stayed there for 4 weeks. Also this day in 1972, Canadian country rock group The Band’s ‘Don’t Do It’ peaked at #34 on the Billboard pop singles chart. On this day in 1974, Elton John released his ninth album, his “Greatest Hits” LP. 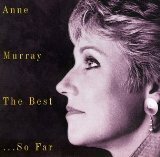 On this day in 1978, Springhill, Nova Scotia-born Anne Murray‘s ‘You Needed Me’ reached #1 on the Billboard pop singles chart. It proved to be Anne’s only US #1. Also this day in 1978, Linda Ronstadt went to No.1 on the US album chart with ‘Living In The USA’. Still in 1978, bass player Greg Reeves sued his former band Crosby, Stills, Nash and Young for $1 million in unpaid back royalties. Again in 1978, Van Morrison was the musical guest on NBC-TV’s “Saturday Night Live,” performing “Kingdom Hall” and “Wavelength.” Steve Martin was the host. On this day in 1981, the trial of Elvis’ physician Dr. George Nichopoulas ended in his acquittal on charges of over-prescribing addictive drugs for the ‘King’. On this day in 1984, actress Merie Earle, who played memorable little old ladies on TV’s The Waltons, Green Acres, and The Bob Newhart Show, died of uremic poisoning at age 95. Also this day in 1984, The Artist Formerly Known as Prince kicked off his fall tour in Detroit. He broke the record for sold-out performances at the 20,000-seat Joe Louis Arena. The previous record-holder was The Artist Still Known as Neil Diamond (in 1983). On this day in 1986, country singer Tammy Wynette checked into the Betty Ford Clinic for treatment for her addiction to painkillers. 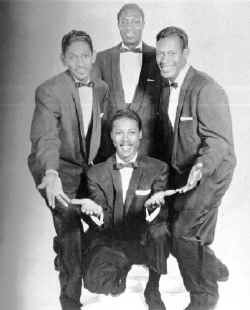 On this day in 1987, Bobby Nunn of the Coasters died of a heart attack at age 61. The group’s biggest hit was the No. 1 song “Yakety Yak” in 1958. On this day in 1991, Canadian-born Bryan Adams‘ ‘Can’t Stop This Thing We Started’ peaked at #1 on the Billboard pop singles chart. On that same day in 1991, Bobby “Blue” Bland, Booker T. & The M.G.’s, Jimi Hendrix, Johnny Cash, The Isley Brothers, The Yardbirds, and Sam & Dave were elected to the Rock & Roll Hall Of Fame. On this day in 1992, in the largest cash advance deal in music publishing history, songwriters Elton John and Bernie Taupin signed a 12-year contract worth some 39 million dollars with Warner-Chappell Music. On this day in 1993, Elton John was awarded $518,700 from the UK’s Sunday Mirror over their false report that he was hooked on a bizarre diet in which he spat out food without swallowing. On this day in 1995, English actor Paul Eddington, who played the inept politician Jim Hacker on the British TV series Yes Minister, and Yes, Prime Minister, died of cancer at age 68. On this day in 1996, the king of pop – Michael Jackson – announced that he and a friend,Debbie Rowe, were expecting a child, but denied a tabloid report that the couple had used artificial insemination and that Rowe had been paid to have the baby. On this day in 1997, the 100th episode of “Frasier” aired on NBC. Also in 1997, the making of the Beach Boys‘ groundbreaking 1966 album “Pet Sounds” was chronicled in a new 4-CD box set on Capitol Records. “The Pet Sounds Sessions” contained outtakes, unreleased tracks, a cappella numbers, and enhanced versions of the songs on the original LP. Still in 1997, Shania Twain released her third album “Come On Over.” It became the world’s best-selling country album (40 million sold) and the best-selling studio album ever released by any female artist. On this day in 1998, Oasis singer Liam Gallagher was arrested after an alleged drunken brawl with photographer Mel Bouzac at a London pub. Bouzac had been tipped off that Liam was in the pub wearing a Russian hat and attempted to take photos. On this day in 2000, rapper DMX went to No.1 on the US album chart with ‘The Great Depression’. On this day in 2001, the Emmys were finally given out after being canceled twice due to concerns following the September eleventh terrorist attacks. “The West Wing” was the big winner, with eight Emmys. died at age 73 of complications from cancer surgery. She guested on episodic TV over 44 years, including the role of Kramer’s mother on Seinfeld, and was a cast member in the series Bay City Blues & I’m a Big Girl Now. On this day in 2006, Aerosmith guitarist Joe Perry suffered a concussion while performing in Las Vegas when he was hit in the head by a camera boom rig. The incident occured while the group’s “Back in the Saddle” was being filmed for upcoming NASCAR promotional spots. Despite the injury Perry was able to finish the show. On this day in 2008, author & screenwriter Michael Crichton, creator of NBC’s long-running hospital hit drama ‘ER’, lost his battle with lymphoma at age 66. Also this day in 2008, TV and radio trumpeted the news as Barach Obama was elected the first African-American president of the United States. Still in 2008, CKKO FM 96.3 launched in Kelowna with “You Ain’t Seen Nothin’ Yet” by Bachman Turner Overdrive. On this day in 2010, U2 won the Top Tour and Top Draw honors at the Billboard Touring Awards in New York. Canada’s Rush earned the “Legend of Live” award in recognition of their contributions to live music and the touring business. On this day in 2011, curmudgeonly writer and reluctant TV personality Andy Rooney, who wrote for the likes of Arthur Godfrey, Harry Reasoner and Walter Cronkite, before becoming a Sunday evening institution on CBS-TV’s 60 Minutes, died of surgical complications at age 92, just a month after delivering his farewell commentary. On this day in 2012, sportscaster Jim Durham, ESPN Radio’s voice of the NBA and Major League Baseball, who earlier called Chicago Bulls games for 18 years, died at age 65. On this day in 2013, exactly forty-three years and a month after her death, Janis Joplin was honored with a star on the Hollywood Walk of Fame. Clive Davis spoke at the ceremony, and Kris Kristofferson sang. On this day in 2014, actor Richard Schaal, an early member of Chicago’s Second City comedy troupe who appeared often on The Mary Tyler Moore Show and its spinoffs Rhoda — which starred his then wife, Valerie Harper — and Phyllis, died at age 86..
Also in 2014, Metallica performed the closing concert at the BlizzCon gaming convention in Anaheim, CA. On this day in 2016, Toronto-born keyboardist Eddie Harsch, who played with the Black Crowes between 1991 and 2006, died at age 59. Former TV hockey analyst Howie Meeker of Parksville BC is 95. Actress Loretta Swit (MASH) is 81. Rhythm-and-blues singer Harry Elston (Friends of Distinction) is 80. Blues singer Delbert McClinton is 78. WNBC New York anchor Chuck Scarborough is 75. Actress Berlinda Tolbert (The Jeffersons) is 69. Actress Markie Post (Night Court, Odd Man Out) is 68. Rock singer-musician Chris Difford (Squeeze) is 64. Actress Barbara Howard (Falcon Crest 1985) is 62. Actress Deborah Rennard (Dallas, Days of Our Lives, Due South) is 59. Actress/comedian Kathy Griffin (Suddenly Susan, My Life on the D List) is 58. Country singer Kim Forester (The Forester Sisters) is 58. “Survivor” TV host/producer Jeff Probst is 57. Actor Ralph Macchio (Ugly Betty, Three Wishes of Billy Grier) is 57. Actress Annabelle Gurwitch (Guiding Light, The Dream Team with Annabelle & Michael) is 57. Actress Kiersten Warren (Desperate Housewives, Saved by the Bell: the College Years, Life Goes On) is 53. Actor Shaun Williamson (EastEnders, Extras) is 53. Actress Monique Parent (Magic Funhouse) is 53. Ontario-born actress Krista Bridges (Heroes Reborn, Republic of Doyle) is 50. Actor Gary Stretch (Girls of Sunset Place) is 50. Actor Matthew McConaughey (True Detective, Freedom: A History of Us) is 49. Rapper-producer Sean “Diddy” Combs is 49. Actress Samantha Smith (Supernatural) is 49. TV personality/talk show host Bethenny Frankel (Bethenny, Real Housewives of New York) is 48. Actor Anthony Ruivivar (Third Watch, Beware the Batman, Banshee) is 48. Rhythm-and-blues singer Shawn Rivera (Az Yet) is 47. Actor Warren Christie (Motive, Alphas, October Road) is 43. Actress Heather Tom (Bold & the Beautiful, The Young & the Restless) is 43. TV personality Trishelle Cannatella (The Challenge, The Surreal Life) is 39. Actress/singer Daisy Eagan (Broadway Bash) is 39. Actress Emme Rylan (The Guiding Light, General Hospital, The Young and the Restless) is 38. Rhythm-and-blues/gospel singer George Huff is 38. Actor Travis Van Winkle (The Last Ship, Hart of Dixie) is 36. Model/TV presenter Rachel Reynolds (The Price is Right) is 36. Actress Olivia Taylor Dudley (Aquarius, The Magicians) is 33. Actress Gillian Zinser (90210) is 33. New Westminster-born actress Alexz Johnson (Instant Star, So Weird) is 32. Vancouver-born actor Jean-Luc Bilodeau (Baby Daddy, Kyle XY) is 28. Actress Darcy Rose Byrnes (The Young and the Restless, Desperate Housewives) is 20.